We all gathered around the tables for the first time last night, the cast and some of the crew of Keyano Theatre Company's upcoming production of A Christmas Carol, a stage adaptation written by Claude Giroux and based on the Charles Dickens novel, directed by Jacqueline Russell. A collection of familiar and fresh faces, we got to hear Roger Schultz's design pitch for the show, delivered in his absence by production manager Trevor McDonald. Roger has danced with Dickens a number of times in his long and accomplished career. He has a particular fondness for A Christmas Carol and has been "like a kid in a candy store" talking about the set and costumes. Flirting with themes of time and place, the design will knock your socks off when you see it later on in November. Overall, it's a big undertaking for the staff at Keyano Theatre, with set pieces that will form a very large play area for the actors. The thing I enjoyed the most about the first rehearsal was getting to hear the script aloud for the first time. Each actor brought a unique approach to their character, even on the first read, and the result was amazing. I was really touched by Tim Heggie's approach to Bob Crachit. Ben did a great job with the Ghost of Christmas Past. And many of the newcomers - Karen, Mark, Neil and Hanna among them - have me very excited about the potential of this show. I had a devil of a time muscling through my Ebenezer lines, on the back end of a bad cold. Also, my voice, which was incredibly strong at the end of February's run of Les Mis, is in want of some good exercise to get back in form. It was great fun going through the show regardless of my frequent coughs and complaining vocal chords. I'm grateful for everyone who contributed ideas as to what I should call this blog series. "My Humbug", "Christmas Carol Yet To Come", and "Marley was dead, Christmas not", were among my favourites. 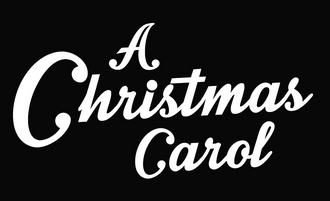 But for the purpose of clarity, and because of its alliterative quality, I'm going with the "Christmas Carol Chronicles". I invite you to follow along and get a behind-the-scenes perspective of the making of a Keyano Theatre Company production.